Motivation can be described as a process in which thoughts influence behaviors, behaviors drive performance, performance affects thoughts, and the cycle keeps repeating itself all over again. Motivation can also be described as the desire that you must have in order to achieve a goal. 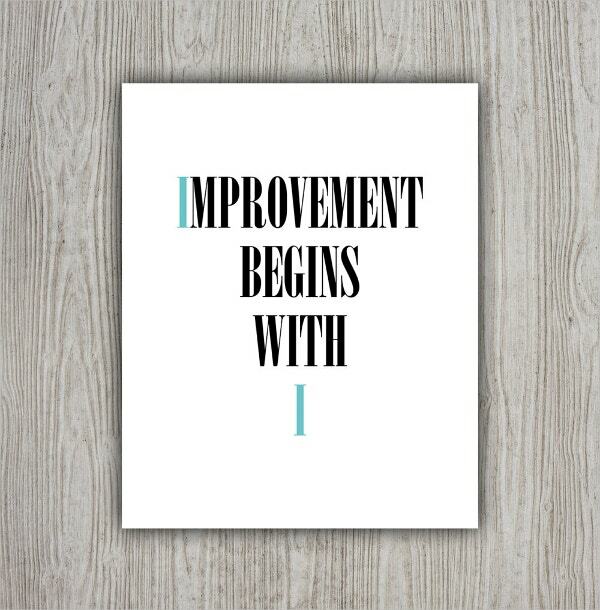 Motivation poster coupled with enthusiasm and energy really help us moving forward in life. Whether you are feeling low due to work stress or you are just feeling dejected due to the general uninspiring state of affairs in your life, you need not be disheartened. All you need to do is, pick yourself up and take a look at the below mentioned list of motivational posters and we are sure they will motivate you to come out of the dark and shine like the blazing sun. 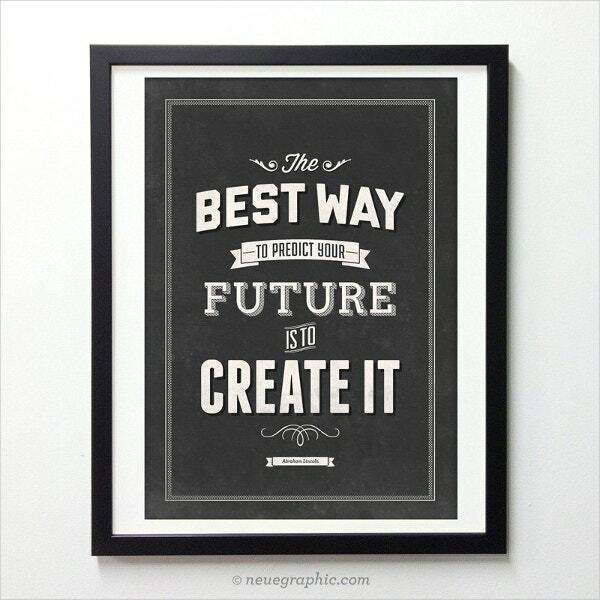 Life Motivation Poster is an awesome motivational poster design which carries an amazing life changing quote by the famous writer Mark Twain. 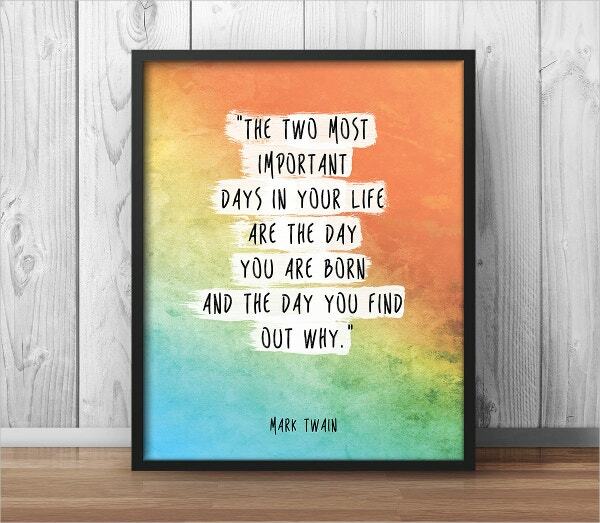 This motivational poster carries the quote ‘ The Two Most Important Days In Your Life Are The Day You Are Born And The Day You Find Out Why’. We all have come to this world with unique skills and talents and it’s entirely up to us how we make the most of our abilities. A few realize it early but some take years to realize their true worth. You can download and customize this Life Motivation Poster template which comes in 8”x10” size JPG print file with 300 DPI resolution. 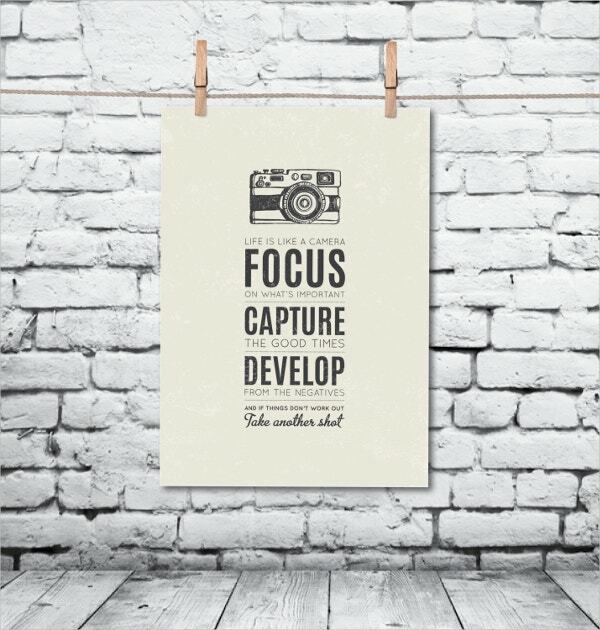 Self Motivational Poster is a beautifully designed motivational poster that can be used for getting that much-needed self-motivation. 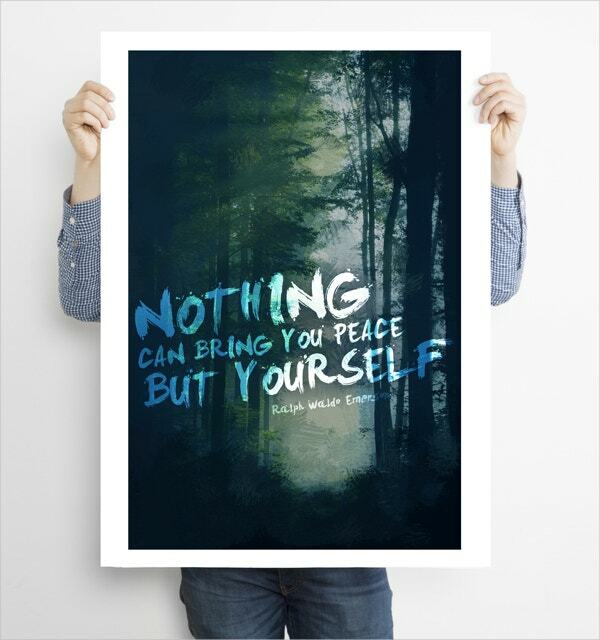 It carries a quote, ‘Nothing Can Bring You Peace But Yourself,’ and touches the most important aspect of our lives, happiness. As human beings, we all crave for happiness and everything that we do is invariably connected to the feeling of happiness in some way or the other. But due to unavoidable circumstances, it’s not always possible for us to be happy all the time and we become dependent on others for our happiness. Putting this motivational poster at your place will always remind you that it’s you who should be in charge of your life, and happiness should start with you. 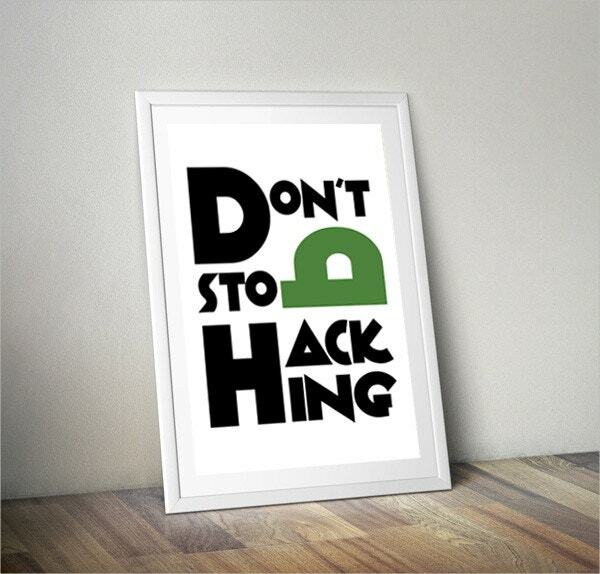 3 Motivational Posters for Your Office is a set of three magnificent motivational posters that you would love to hang in your office. 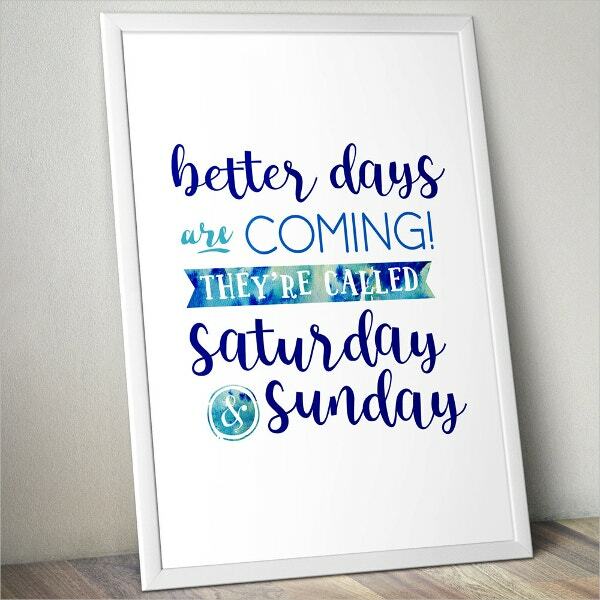 Employees working in the office wouldn’t mind seeing these motivational posters on a daily basis and it will definitely help in boosting their mood which may lead to enhanced productivity. 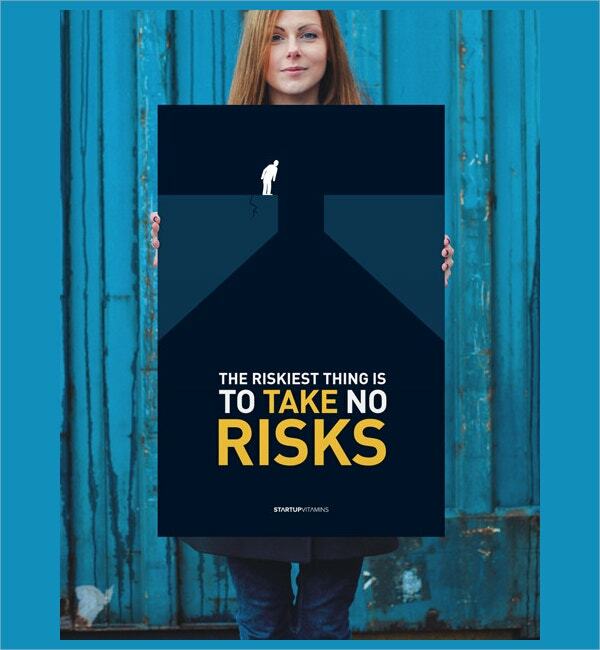 Furthermore, these posters will enhance the look and feel of your workplace. You can customize these motivation templates through Adobe Photoshop and change its color, background, font types etc as per your liking. 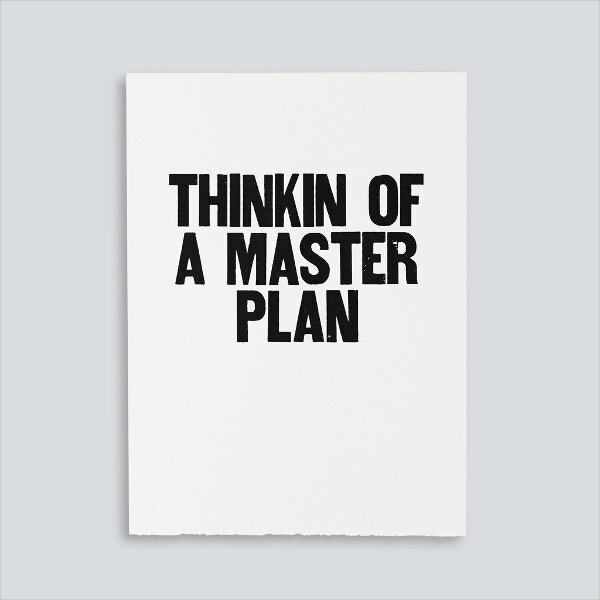 A master plan is a comprehensive plan of actions which you can use to achieve a goal that you can not afford to miss out on and you are willing to go all guns blazing without leaving any stone unturned, to achieve the set goal. You can use our Master Plan Motivational Poster template and incorporate your master plan into your design and it will keep on motivating you all the time and will work as a reminder to work even harder as you can’t afford to fail in this endeavor. 7 Retro Vintage Motivational Quotes is a collection of seven wonderfully designed motivational posters and the retro look adds further spark to the designs. 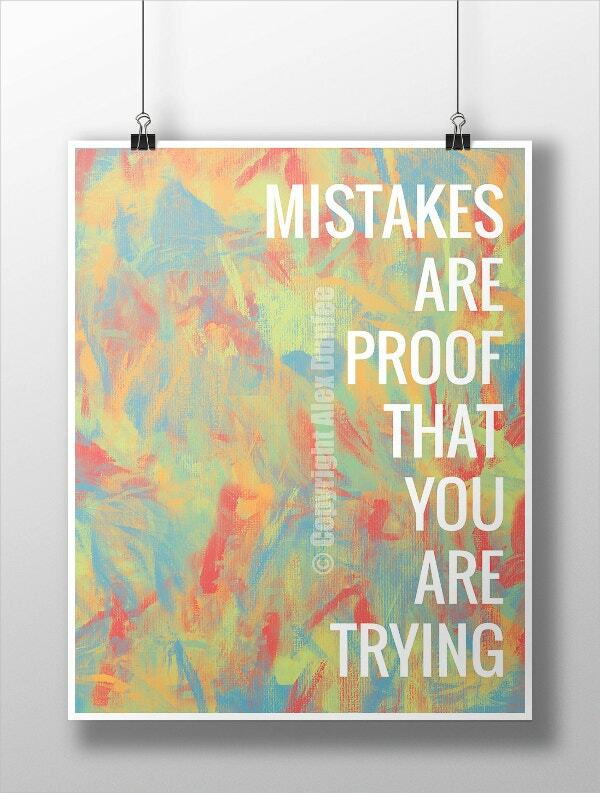 The combination of attractive colors with calligraphic fonts make these motivational posters look even more attractive. These templates are fully editable through Adobe Photoshop and you can customize these designs as per your liking. 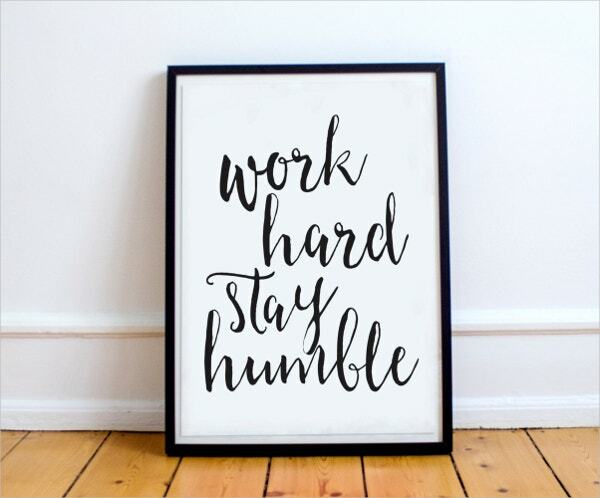 You can use these motivational posters at your home or even at your workplace and they will surely help in making your office or residence look elegant and classy. We all have our own successful mantras that we use for motivating ourselves. Our mantras for success never fail to motivate us. 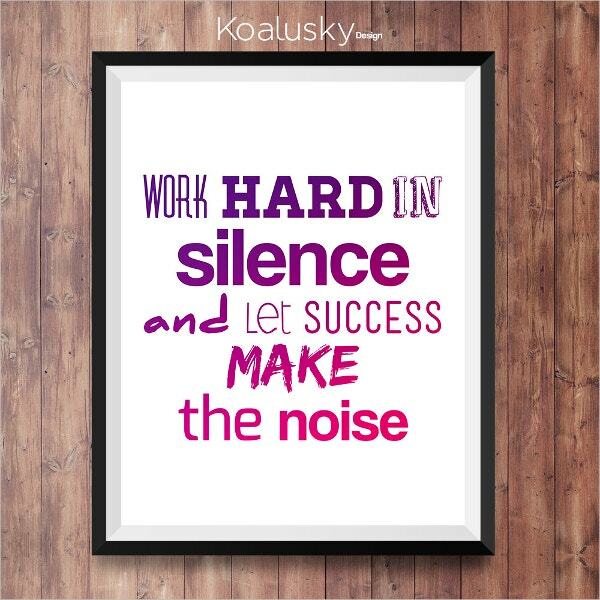 You can use our Mantra Motivational Poster for designing your own success mantra and you can use it as a motivational poster which will help you in keeping you motivated unlike any other. This print-ready template is fully customizable through Adobe Photoshop. Hence you can bring in further modifications in colors, background and font types as per your liking. 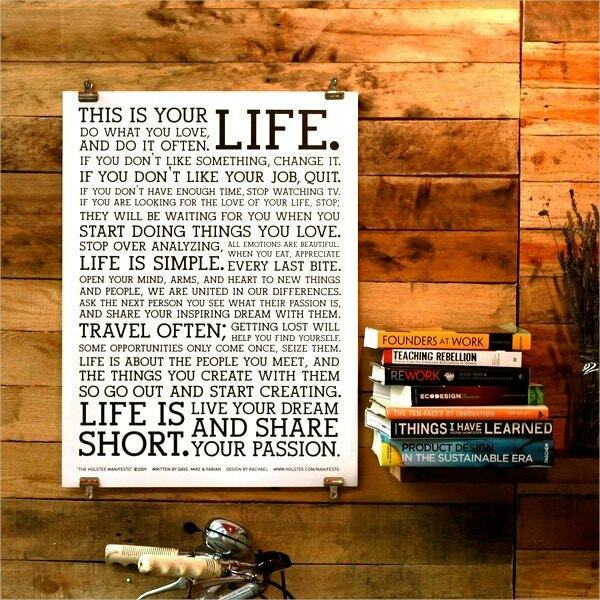 The Holstee Manifesto Poster template is one of the most inspiring motivational posters that you will ever come across. It carries a lengthy quotation and every line of this quote is inspiring to the core. This quote almost covers all the important aspects of our lives, be it our professional or personal lives. 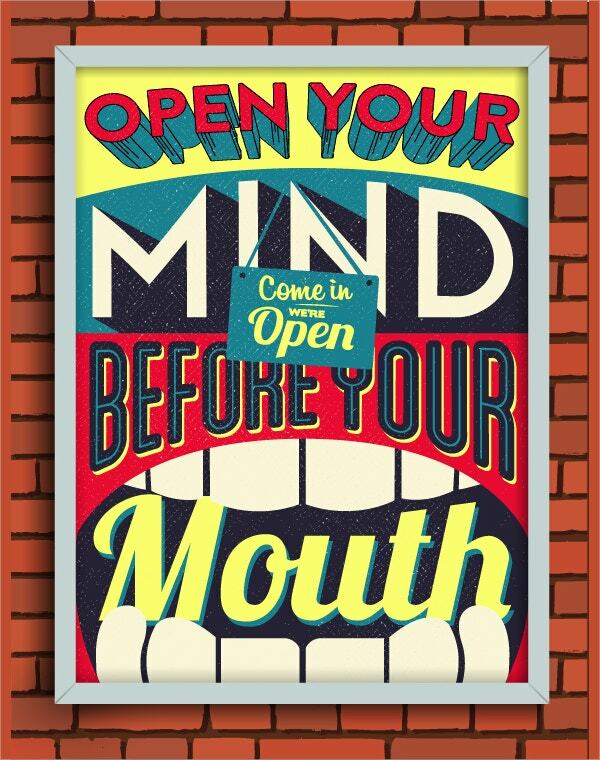 You can download this Holstee Manifesto Poster template right away and use it as a poster. 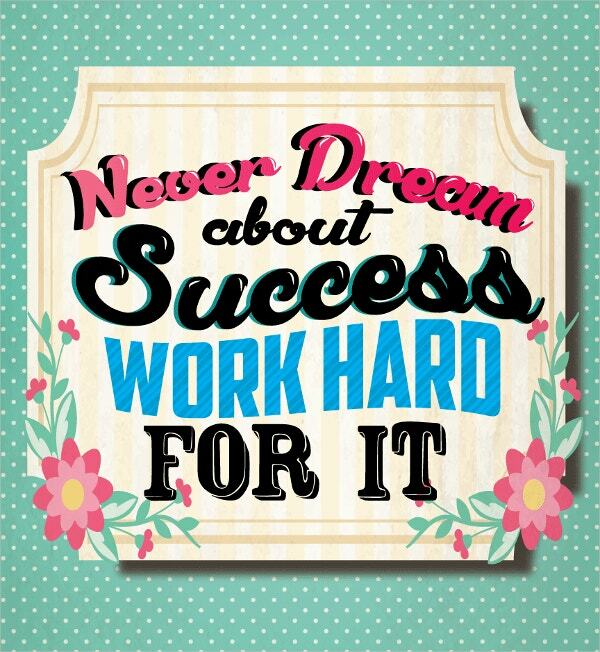 It will work as an inspiration and remind you to live your dream. 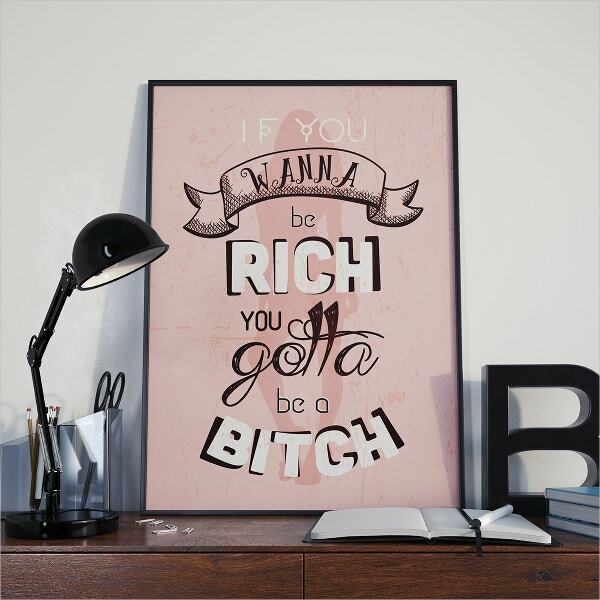 The main purpose of these motivational posters is to boost your self-confidence and make you change your perspective and develop a positive outlook towards things in life. 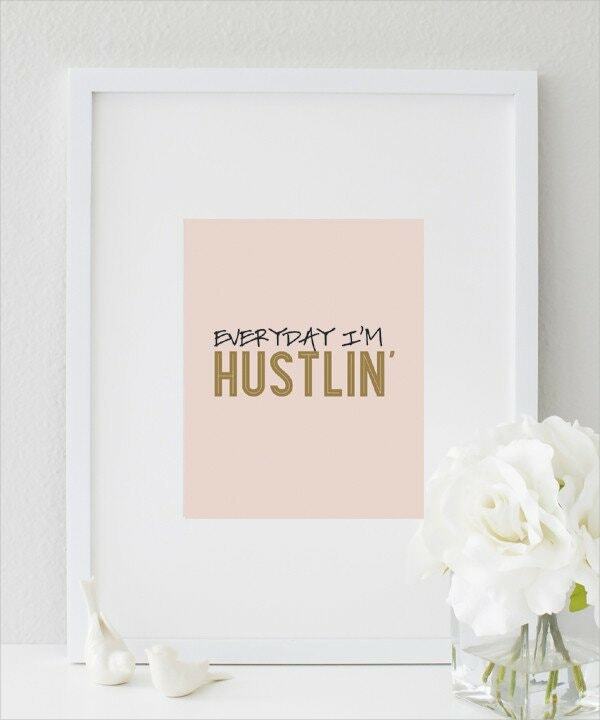 You can print these motivational posters and hang them up in your workroom, office, classroom, home or wherever you feel like. You can also see Vintage Posters. 17+ Western Wanted Poster Templates – Free Printable, Sample, Example, Format Download! 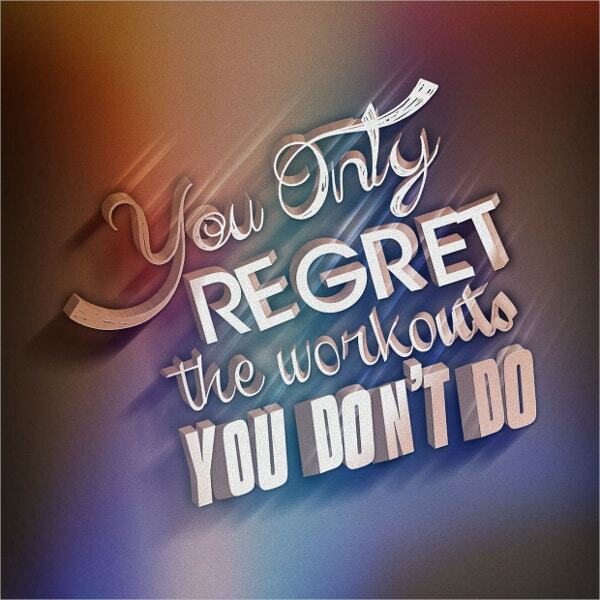 24+Top Motivational Posters – Free Word, PDF, PSD, EPS, Indesign Format Download!